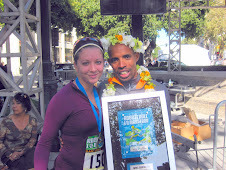 Last Sunday I ran the Crosstown 10k And got 2nd woman overall! I saw the weather forecast was for snow on race day and hoped it would stay snow vs rain. (Because snow is “dry”) but race morning I took out the dogs and experienced the wind, the cold, and sleety bits. I ultimately decided I couldn’t bail on this race since a few of my friends from MRC were also signed up. I couldn’t let them down- especially since I’m the captain of our club. I paid $10 to pick up my bib/shirt on race morning which worked out perfectly. I would have spent more $$ on transport and time to get to RRS had I picked it up myself. I was pretty ambivalent about this race. Before I knew the conditions would be a frozen shitstorm, my goal would have been to maintain low 7’s. But given the weather I decided to take advantage of the nice tailwind and just trot it back into the headwind. When I lined up at the front I looked around and thought to myself “I probably should have looked at the course map a little more.” I’m usually not in the position to podium for women, or overall but I felt today would be a real possibility for scoring high overall. We listened to the national anthem and soon we were off. A woman sprinted out but I caught her within the first 100m. I was like 3rd overall 400m into the race. A girl passed me and I decided to stick with her for as long as I could. I pretty much trailed the first woman by 5’ the first 3.5 miles (before the turnaround) I would run better tangents and catch up to her and then she would pick up the pace. We did this a lot in the first 3.5 miles. Once we turned back north it was awful. 20+mph winds, sleet, rain, snow. The sleet felt like small shards of glass cutting my skin. The first place woman took off. I wasn’t really feeling like pushing too hard at this point and just kept an even effort. My glasses were fogging up/ freezing over and it was so hard to see the path. I tried to avoid the large puddles but managed to step into a few and instantly thought “wow the water is warm.” I was worried about tripping on uneven pavement. I kept pushing towards the finish and was so cold. I was happy no one passed me the entire race except for the first woman 400m into the race. I was ready to be done. The snow was picking up. It brought flashbacks of running Boston- I felt so emotionally drained afterwards. I was so happy to cross the finish as 2nd woman and 5th overall. It was a solid effort - not the time I would have wanted, but I was happy with my race execution. I was so numb by the time I finished. Hands were so cold. My pace slowed a minute per mile once I turned back north. Wind is my kryptonite. I waited for my teammates to finish and cheered them on. They did so amazing too! For 2nd OA I was shocked to get a gift certificate to RRS for insoles. I was all Damn, should have run a minute faster to get the 1st place prize- a new pair of shoes. Went home shivering and took a hot bath and chilled with my boys. The race was well organized and fun. Id probably run it again pending the weather. The shirt/medal etc were nice. The volunteers were great for standing out in the sleet and wind. Sis Gel 10 min pre race. Wore my coure bib holder triathlon belt thing. So much better than punching holes in my jacket. Wore tights. I thought to wear shorts but figured it would be more snow than rain. Mistake. Wear shorts next time so the tights don’t soak up water. Start training for the Redbull 400, and eventually the Chicago Marathon.